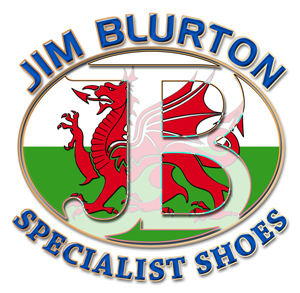 The Jim Blurton straight egg bar shoe offers support to the heel and frog spreading the weight evenly throughout the foot. 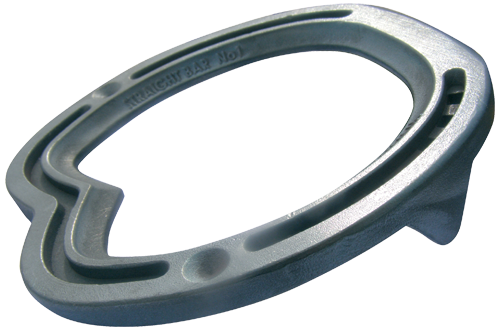 This shoe has a bar that runs directly between the two heels, enlarging the ground-bearing surface at the back of the foot. 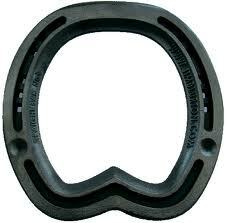 It is ideal for competition horses, as the bar does not protrude excessively at the back of the foot. The shoe incorporates a roll toe and is safed off at the heel. Side clips are standard and they have a countersunk position for stud holes. Unique to these shoes they incorporate pitched nail holes providing a different angle for each nail making it easier to nail on.